Sardinia is the second largest island in the Mediterranean Sea, found approximately 120 miles west of mainland Italy. Boasting almost 2,000km of stunning coastline, its own language and a variety of ancient architecture, Sardinia is one of the most interesting and picturesque holiday destinations. The island has some of the finest beaches in Europe. You can enjoy excellent kite-surfing and sailing or you can simply relax on the soft white sands of the beautiful Costa Smeralda in the north. It is also home to a number of endemic animal species such as the albino donkey, Sardinian wild cat, Sardinian deer and the Sarda sheep. Il Castello in Cagliari is one of the island’s most iconic images, an impressive hilltop citadel with vast walls and towers, which was built by the Pisans in the 13th Century. Make sure you allow plenty of time to explore some of the 7,000 fascinating Bronze Age sites known as ‘nuraghe’. The most visited is the Nuraghe Su Nuraxi in the Barumini countryside. It comprises a 1500BC tower, various huts and has been listed as a World Heritage Site. Sardinia is well connected with mainland Europe and the surrounding Mediterranean islands by ferry. 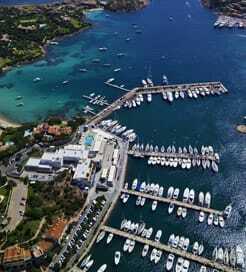 With ferry terminals in Cagliari, Arbatax, Olbia, Golfo Aranci, Santa Teresa Gallura and Porto Torres. From mainland Italy, there are terminals in Genoa, Livorno, Piombino, Civitechhia and Naples with frequent crossings provided every week. You can sail from Barcelona in eastern Spain almost every day, with less frequent crossings from Nice and Toulon in southern France. If you are travelling from Corsica, you can sail from Bonifacio and Porto Vecchio in the south, with a few high-speed sailings every week. In Palermo, Sicily you can choose from a couple of sailings every week, which last around half a day. For more information, please visit our Ferries from Spain to Sardinia page. 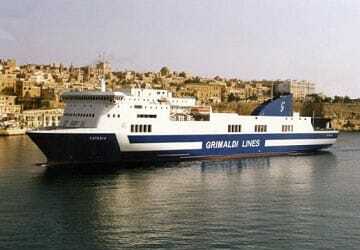 For more information, please visit our Ferries from Sicily to Sardinia page.